Child of Fortune (Inscribed and SIGNED). New York: Bantam Books, August 1985. First Edition, First Printing 1/4 cloth AS NEW in AS NEW DJ 8vo (6-1/4 x 9-1/4), 483 pp. Signed and Inscribed hardbound book is FINE -- Unread, Unmarked and AS NEW in AS NEW mylar-covered unclipped glossy pictorial DJ. 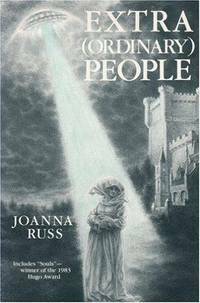 (h) Considered one of Mr Spinrad's major works, it's a great story of a young woman taking her wanderjahr -- wandering year -- going from planet to planet, learning about the universe out there and also her self, who she is. Unique, classic and highly collectible. Doctor Who Annual - 21st Year Anniversary Issue. Doctor Who: The Key to Time -- A Year-by-Year Record. 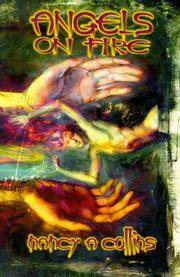 Angels on Fire: a Romantic Dark Fantasy. Clarkston, GA: White Wolf Publishing, 1998. First Edition, First Printing Glossy Pictorial Wraps AS NEW in WRAPS 8vo (6 x 9), 234 pp. First edition softcover book (no hardbound edition was made) is Unmarked, Unread, and AS NEW in glossy pictorial wraps. (h) Nancy Collins, who is known for her outrageous and outrageously funny punk vampire novels creates a new genre: Punk Fallen Angels, the war between heaven and hell --and the book goes from one to the other with a fair amount of New York City in between. Not only funny, but a beautiful amazing love story that's quite moveing. Great illustrations by Thom Ang. Is That What People Do? Selected Stories of Robert Sheckley. New York: Holt, Rinehart & Winston , 1984. Second edition 1/4 cloth Fine in Fine DJ 8vo, 402 pp, Book is FINE -- UNREAD AND UMARKED in FINE DJ. 40 short stories originally written and published between 1953 and 1983. The collection of stories by a master of science fiction is a very hard-to-find book . Mars Attacks #2: War Dogs of the Golden Horde. New York: Del Rey, 1996. First Edition, First Printing 1/4 cloth AS NEW in AS NEW DJ 8vo (5-3/4 x 8-1/2), 281 pp including Trading Cards. Book is FINE -- AS NEW in AS NEW glossy pictorial cover DJ illustrated by Peter Scanlan. Trading cards illustrated by Simon Bisley and Ken Steacy. (h) Mars Attacks Trading Cards were originally published by Topps in 1962 but were forced to be recalled due to the graphic violence and the "Comics Code." Re-released in 1995, with additional, equally violent cards, they inspired these books and the Tim Burton movie. 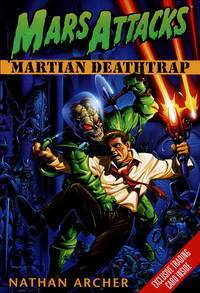 Mars Attacks #1: Martian Deathtrap (Mars Attacks). New York: Del Rey, 1996. First Edition, First Printing 1/4 cloth AS NEW in AS NEW DJ 8vo (5-3/4 x 8-1/2), 243 pp including 2 Trading Cards. Book is FINE --AS NEW in AS NEW glossy embossed color pictorial DJ illustrated by Ken Steacy. Cards illustrated by Peter Scanlan and Dan Brereton. (h) The "Mars Attacks" trading cards were originally issued by Topps in 1962 but were considered too violent for innocent youth, and withdrawn. They were re-released in 1995 by Topps with addition cards added, also graphically violent. And that led to the Tim Burton movie. London: Victor Gollancz Ltd, 1989. First Edition, First Printing Cloth AS NEW in AS NEW DJ 8vo (8vo (5-1/2 x 8-3/4), 220 pp. Clothbound book is FINE -- Unmarked, Unread, and AS NEW in AS NEW DJ. (h) Page edges seem slightly tanned, but otherwise book is AS NEW. The Aliens of Summer (SIGNED, DATED, INSCRIBED). New York: EOS, January 2002. First Edition, First Printing 1/4 cloth AS NEW in AS NEW DJ 8vo (6-1/2 x 9-1/2), 356 pp. Harbound book is Unread and AS NEW in AS NEW Pictorial DJ. There is a slight diagonal crease on the edge of the inside back of book DJ flap. Otherwise, impeccable -- no marks, rips, tears, or bumps. 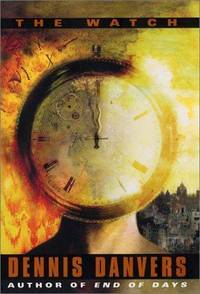 (h) Mr Danvers is author of "End of Days," "Time and TIme Again," "Circuit of Heaven," and "Wilderness. London: Orion Publishing Co, 1998. 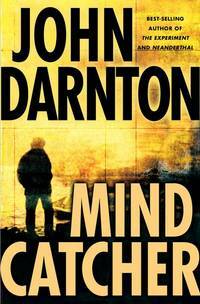 First Edition, First Printing Hardcover AS NEW in AS NEW DJ 8vo (6-1/2 x 9-1/2), 340 pp. SIGNED by author on title page at bookstore (Dark Carnival, Berkeley, CA), AS NEW IN AS NEW DJ protected in mylar cover, with bookstore's wraparound slip intact. Janissaries (Signed and inscribed by Author). New York: ACE Books, 1979. First Edition, First Printing 1/4 cloth Fine in Near Fine DJ 8vo (6-1/4 x 9-1/4), 335 pp. Hardbound book is FINE in NEAR FINE DJ (slight chipping of DJ at top of spine). 70+ pages of illustrations by Bermejo. Signed and inscribed by the author on the title page. (w) Space war against Cuban commies and Marxist bad guys. New York: Gnome Press, 1952. First Edition Cloth Near Fine, No DJ 8vo (5-1/2 x 8-1/4), 213 pp. Hardbound NEAR FINE in grey cloth cover -- all pages clean and tight, cover clean but with shadow outline of arched metal bookend on front cover. (Grey cloth book cover is faded on front except for where bookend was?) No DJ (w) Brackett's first book, a landmark in science fiction. An Excellent Copy only lacking Dustjacket. New York: MacMillan , 1972. First Printing Cloth Near Fine in VG DJ 8vo (5-1/2 x 8-1/2), 195pp. Book is NEAR FINE (2 small - 1/8" - vertical tears on top of spine under DJ, small red dot on top of pages. DJ is unclipped VG+ with some rubbing and same 1/8" vertical tears on spine on top edge. Otherwise both are unmarked, clean and clear and crisp. Ten of Mr Pangborn's stories from the 50's and early 60's -- Good Neighbors, A Better Mousehole, Longtooth, Maxwell's Monkey, The Ponsonby Case, Pickup for Olympus, Darius, Wogglebeast, Angel's Egg, and The Wren in Grampa's Whiskers. A collection of classics. Reading, PA: Fantasy Press, 1952. First Edition Cloth FINE in FINE DJ 8vo (5-1/4 x 7-1/2), 270 pp. FINE hardbound First Edition in FINE price-clipped pictorial DJ. A collection of 8 stories/novelettes. Mr Weinbaum began writing in 1934 and died a year and a half later.. This was the 6th and last anthology of his stories. Willimantic, Conn: Ziesing Brothers, 1982. First Edition Cloth AS NEW in FINE DJ 8 vo (6-1/4 x 9-1/4), 117 pp. Book is hardbound in blue cloth, unread, unmarked and AS NEW in FINE DJ (slight darkening of DJ on inside-flap areas, the 1/4 exposed above and below the text. There is also a small vertical tear on the back cover near the spine, archivally repaired and not visible through the Bro-Dart cover now protecting the DJ. Mr Wolfe presented this book after the first three volumes of "The Book of The New Sun." The first volume, "The Shadow of the Torturer," won the World Fantasy Award for Best Novel of 1981. The second volume, "The Claw of the Conciliator," won the Nebula Award for Best Novel of 1982. This book followed publication of the third volume, "The Sword of the Lictor," and was issued while he was completing the fourth volume, "The Citadel of the Autarch." In it he presents an interview with himself, a lexicon for the neologisms in the previous three books, a bibliography, and various essays. The bibliography was compiled by Gordon Benson, Jr.
London: New English Library, 1980. First Edition Cloth AS NEW in FINE DJ 8vo (5-1/2 x 8-1/2), 556 pp. AS NEW Hardbound copy of the true first edition (book was published in UK prior to USA edition) in FINE/AS NEW DJ protected in Bro-Dart cover. DJ is as clean and intact as any new book, better than most. No chips, tears, or clips. Slight scuffing and scratching can be seen if book is held at the proper angle in the light. Two ripples top and bottom inside of front board where paper was not properly glued, otherwise impeccable. Major book by major writer, true first edition in archival condition. Highly collectible.